Who doesn’t want to feel like the master of their domain? 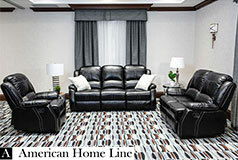 You will when you kick your feet up and recline back in the Lorraine Bel-Aire club chair. Padded to give you maximum comfort. You get extra padding in the back cushions and armrest. Regardless if your seated or in a multitude of reclined positions, you’ll be fully supported and comfortable. 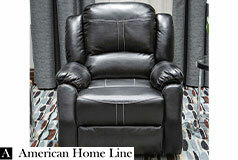 You’ll always feel relaxed when you’re laying back on your Lorraine Bel-Aire recliner. The Bel-Aire leather is breathable, making it comfortable during cold winter months or hot summer days. 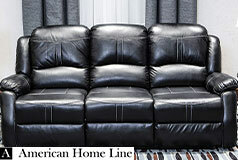 Key Features: The Lorraine Bel-Aire reclining chair will be the favorite seat in the house. Recline back in various positions depending on your mood. You also get billowing back cushions and pillow-top arm support for added comfort.